Fear based ‘advice’ built around what is at best, a misguided intention to help and at worst, outright stupidity. 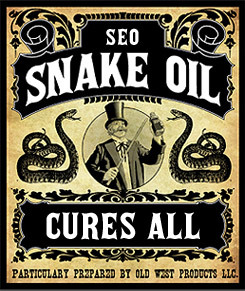 There are lots of snake oil investors out there, although I wont name names. They’re usually the ones on YouTube screaming about the next impending disaster, a new video every week about how we’re days away from complete collapse and ruin, but wait, they have advice, they have a recommendation, just buy this and this, the links at the bottom of the video, but no, I don’t benefit from it in any way! 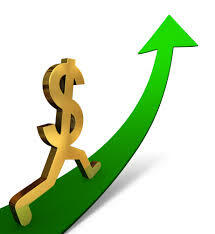 Recently it has been the impending collapse of the dollar. But there have been countless others. They look at American debt and see the enormous number and tell people to buy gold and silver because the world is close to ending. I’ve actually read some of the comments on these videos and it saddens me to see people who have literally cashed in pensions and sold assets on the back of this advice. The great thing for these snake oil investors is that they only need to be right on one occasion. One time and suddenly they have been proven right. 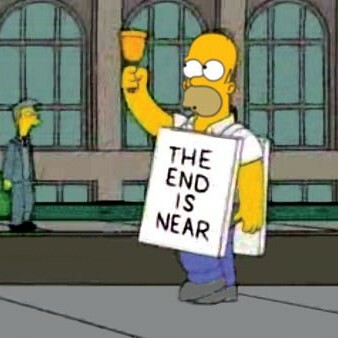 Oh and the little extra sprinkle of salt – they give no exact timeline for the event they say is coming, so it can literally drag on ad infinitum until the ‘prophecy’ fulfils. If you look into this advice a little deeper you can see it for what it is, which is advice based on emotion, mainly that of fear. And what is the number one thing you want to remove from your trading? Emotion! Because it lies to you, it has you trying to pick tops and bottoms because SURELY the market can’t move any further. Gold has been falling for years. And the sad part is, people will have bought the highs on the back of this snake oil advice. Always do your own analysis and don’t allow yourself to become influenced by the advice of people on YouTube or in the news. Don’t even listen to me unless your own research/beliefs align with what I’m saying. The problem with people looking at America and basing their advice off of the debt clock which spirals every higher is that they are treating debt in a way they can relate to it. As though it were their credit card debt or mortgage. But there’s a huge difference. For us mere mortals, we have a life expectancy. Our borrowing costs will increase the older we get because our repayment term will decrease, simply because, as morbid as it is, we are expected to die. And banks want to wring the money out of you before you go! America is not a mortal. It is a country and has no mortal life expectancy. It can borrow, literally, forever, adding debt to the debt. Is this a good idea? Of course not. But it in no way should be your sole reason for investing in gold! And so the dollar rises and gold falls. The YouTube videos keep rolling and people pump money into markets that the smart money is avoiding. And when gold begins to rise again (as it naturally will), the videos will exclaim that they were right, they hope you didn’t invest too early, this is exactly the ‘bottoming out’ they were waiting for! Have a happy (and sensible) trading week!